This is the life I guess I’ve embarked on – that wherever I am, that’s where I’m living! Pretty cool. And just a bit insane, even to me. I can’t escape the feeling that I’m on vacation – this is such a different (and really, foreign) environment to me that it all doesn’t seem real – or that it’s going to end after a couple weeks. I think with “vacation,” the connotation is also that the experience is a finite amount of time and that I’m avoiding responsibilities (or putting them on hold until I “get back”). But that’s the crazy part: I’m hoping to create a life that integrates this permanent traveling lifestyle with my responsibilities and the work I am here to do. Very excited about the people I’m meeting here and the practices in my life that I’ll be deepening. Spirituality is still a new concept to me (relatively speaking), but I firmly believe that it’s gotten me to this point – to living in Hawaii and connecting on a powerful level with myself and those around me. You don’t have to live the life that other people expect you to. and avocados at every meal! i’m sure we looked funny to him, too. notice the tree leaning to one side – that’s from the wind! yup, this place is a rain forest all right – pretty beautiful! 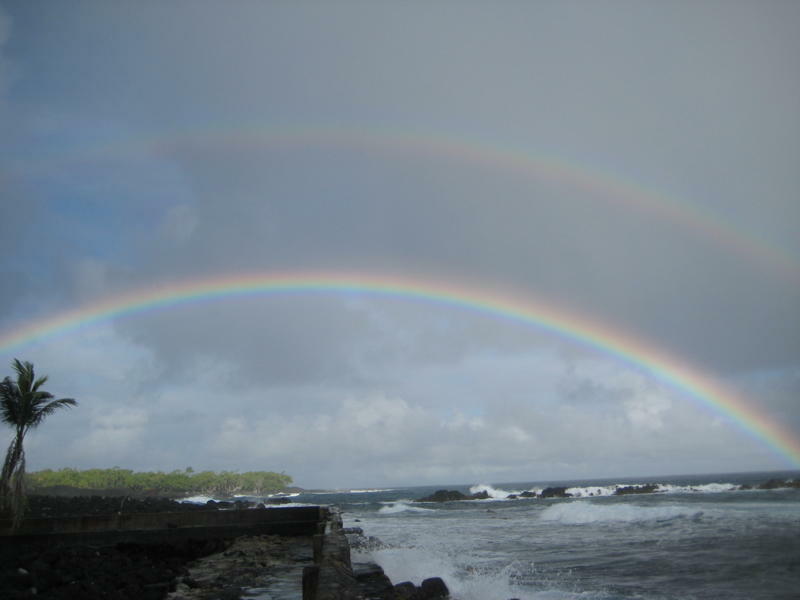 hawaii: home of the original double rainbow! Thanks so much for the props. 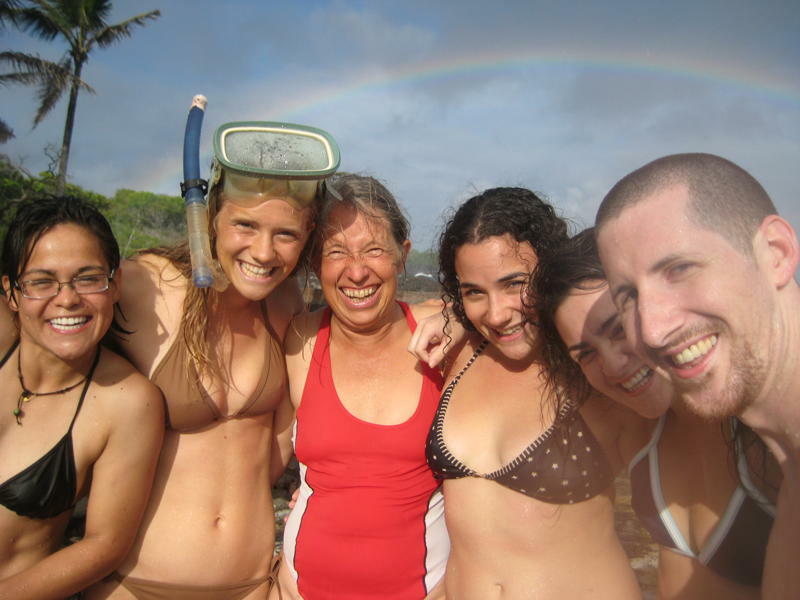 Nice pics, and welcome to Hawaii! Hahahaha E! Wooooohoooooo… it's happening Nate! Enjoy NA!! !